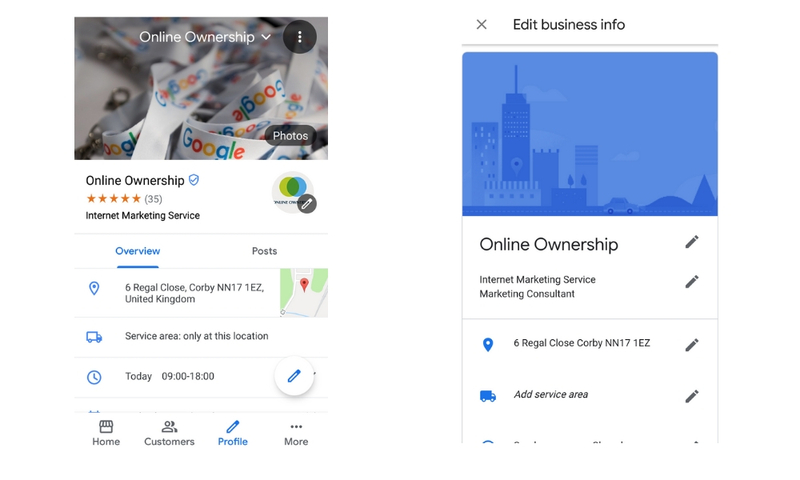 Google My Business is currently rolling out the new “built from the ground up” Google My Business App, designed to allow merchants to work on the go. The customers tab offers two sections, reviews & followers. Review section allows you to view customer reviews and respond to reviews. 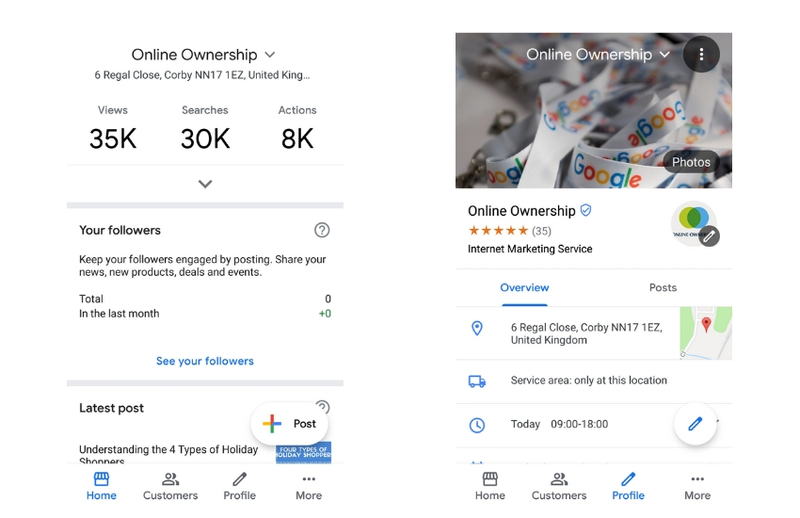 Followers section will allow you to see who has followed your business, with the new Follow Option provided in your business listing in Maps. 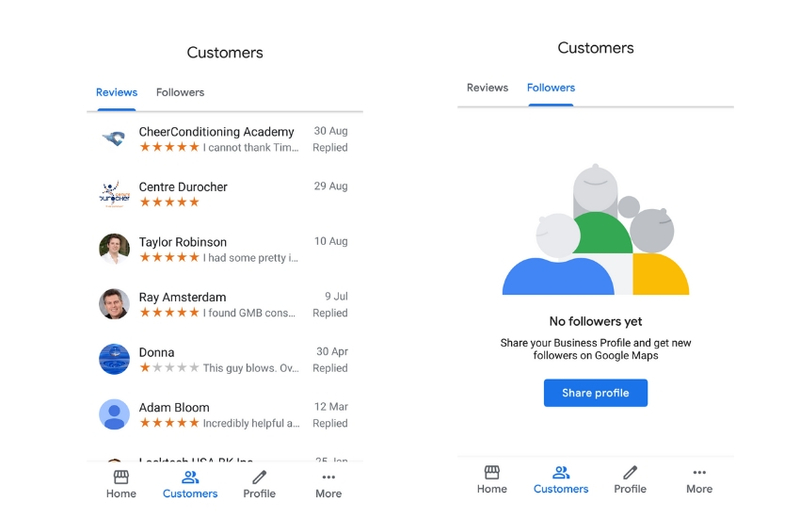 Followers will in due course get a push notification when the business they follows posts a Google Post. This is your business details. This shows you all the current details that you have listed together with a review summary. Clicking the Pencil Icon or View All takes you to an Edit Business Info tab, where business details can be updated / edited. 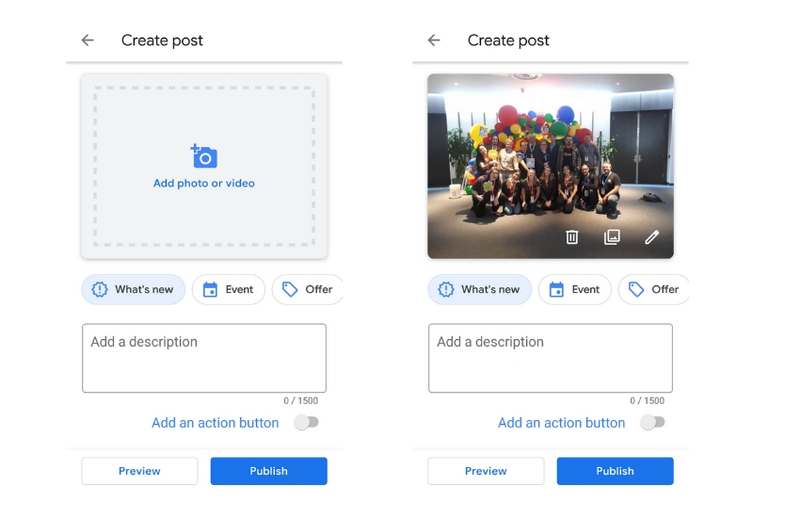 When you hit the post tab you are presented with two options Create Post or Add Photos which is a little odd because in the create post you can also take a photo. Nevertheless the new create post section is really slick compared to the old version. Tapping the Add Photo section allows you to take photo, record video or choose from gallery. Easy selection of type of Post and then description or event / product details. A toggle switch for call to action and then a selections + URL. 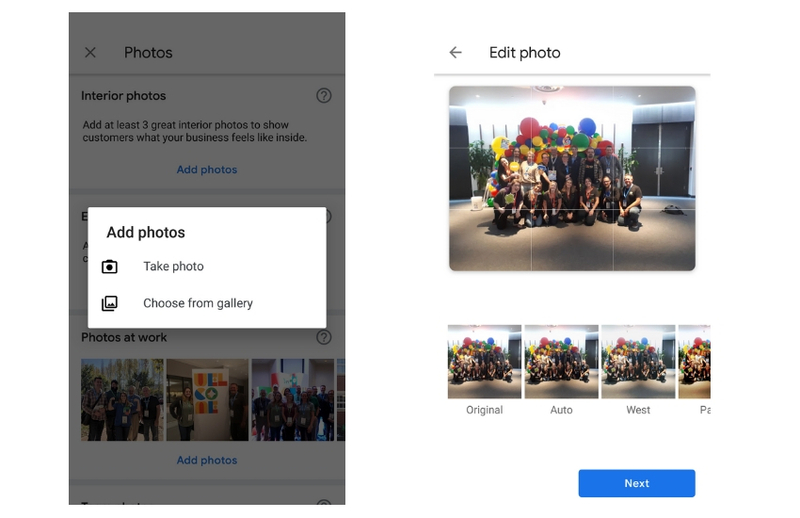 Photo section present you with a view of business photos; interior, exterior, at work, team, additional and identity photos (these selections differ depending on business type). Select the section and click Add Photos which offers you two options; Take Photo or Choose from Gallery. Nice and easy upload which also allows you to create post from the upload. GMB has built this app from ground up which will allow for easier integration of future features and updates. Overall a great job and should make managing your business listing on mobile easier.